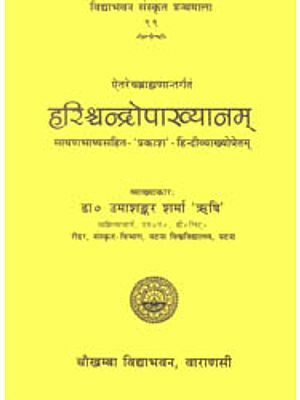 The Present Edition by Dr. B.R. 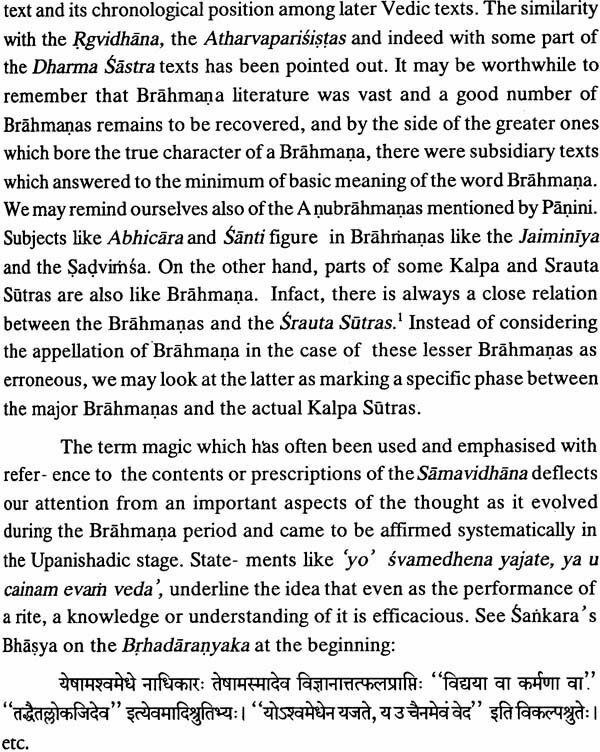 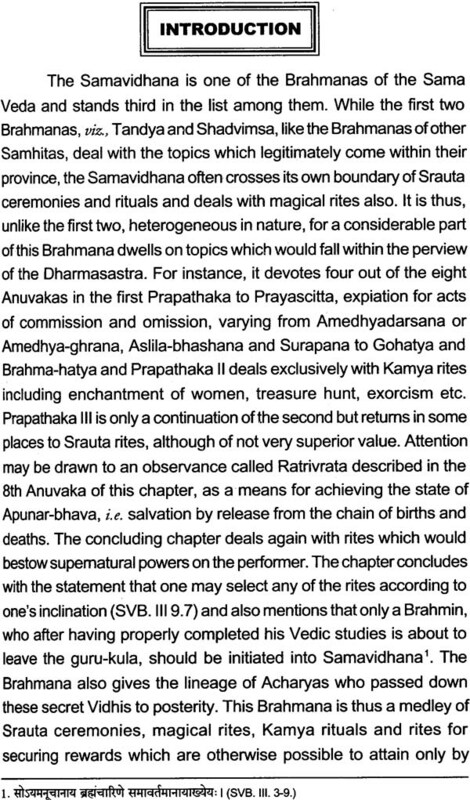 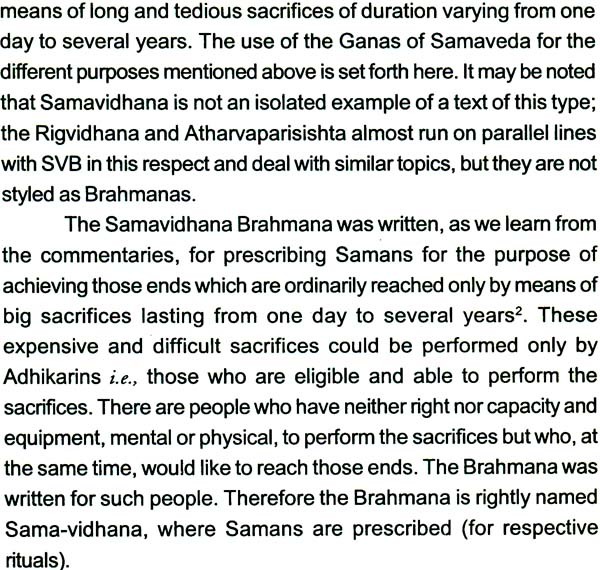 Sharma, a renowned scholar, offers the text of the 'samavidhana Brahmanam' with two commentaries, one by Sayana and other by Bharatasvamin. 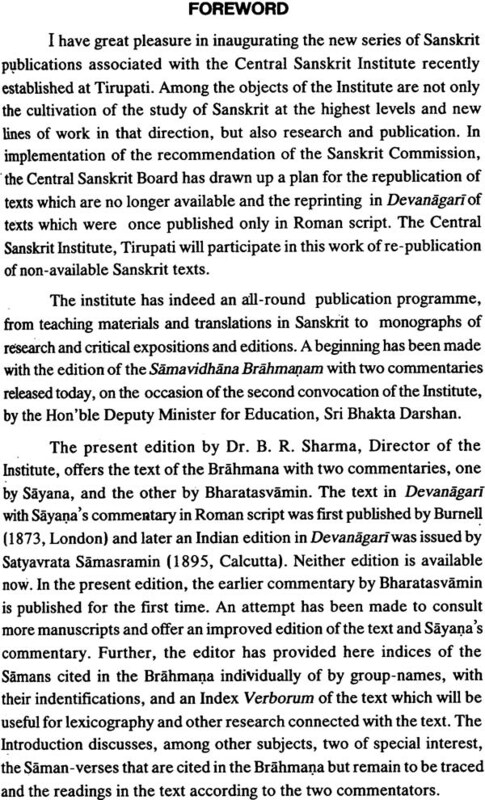 Here, an attempt has been made to consult more manuscripts and to offer an improved edition of the text and Sayana's commentary than the previous two editions of Dr. Brunch ,(1873, London) and Satyavrata Samasramin, (1895, Calcutta). 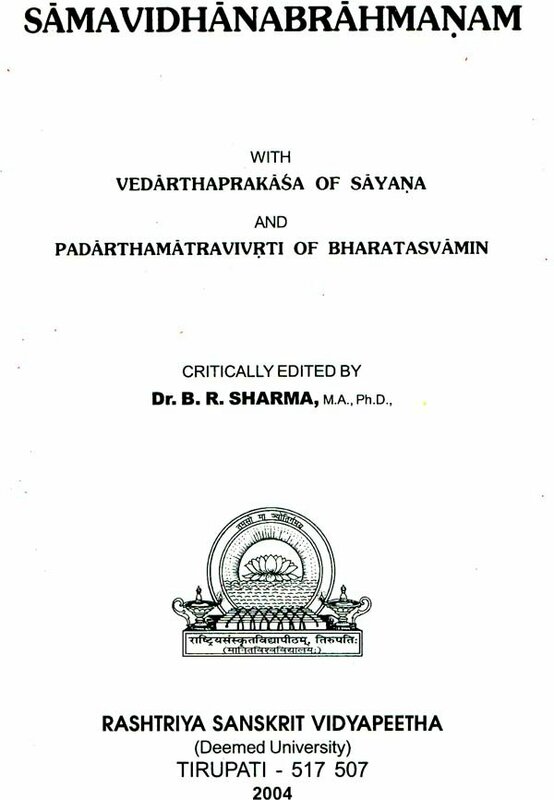 Bharatasvamin's has been published for the first time. 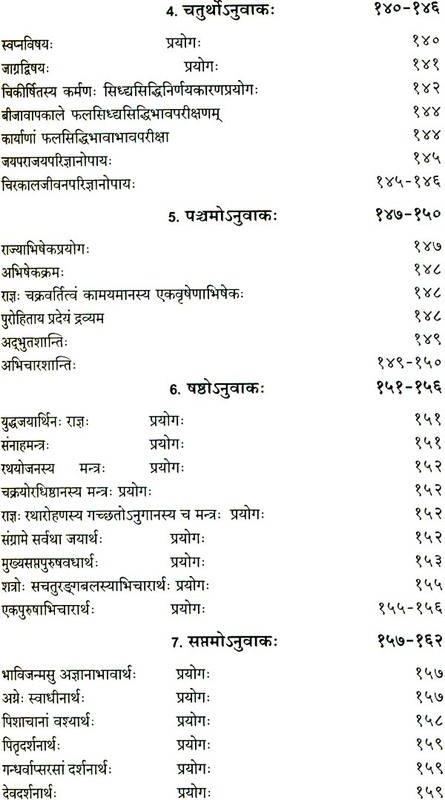 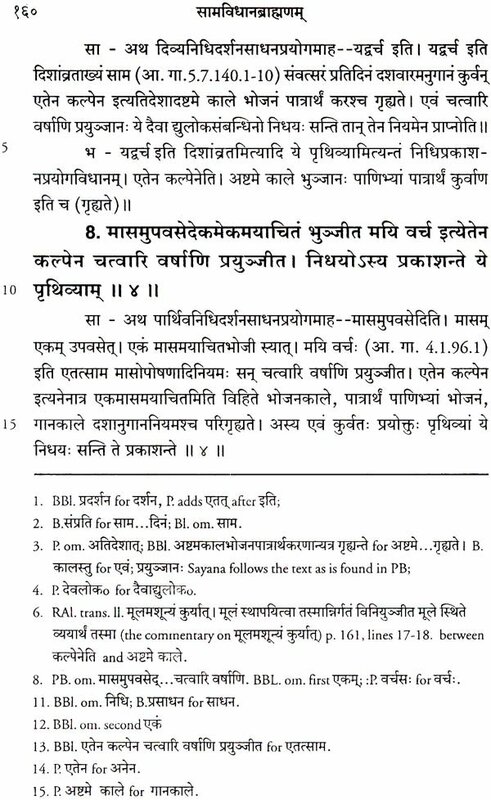 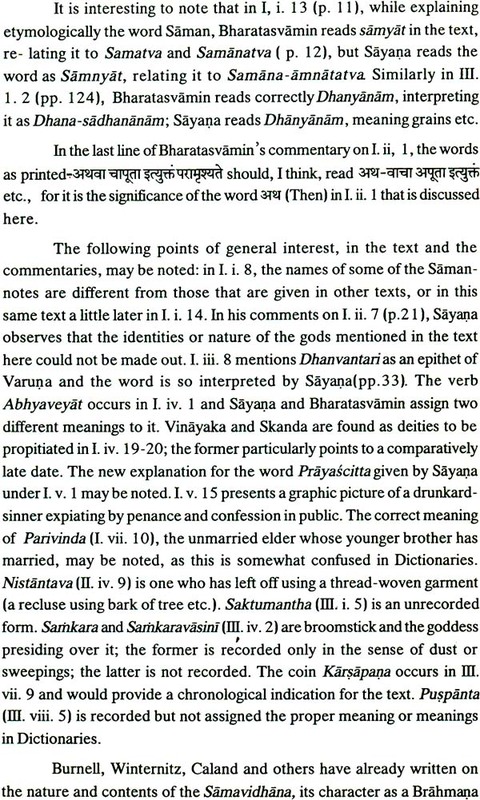 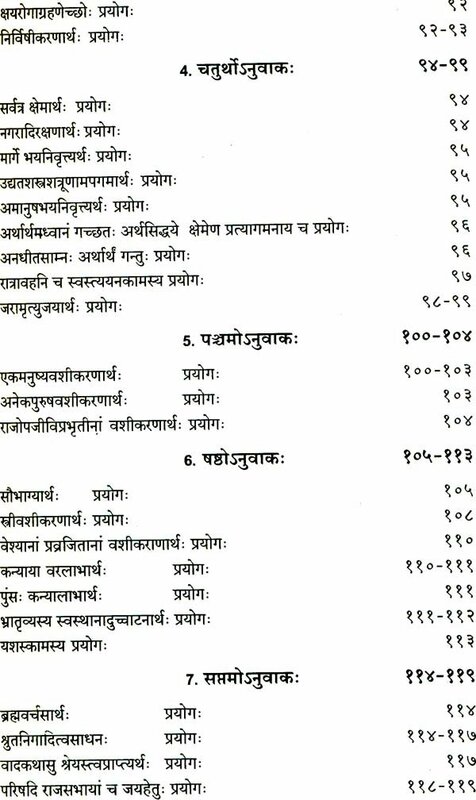 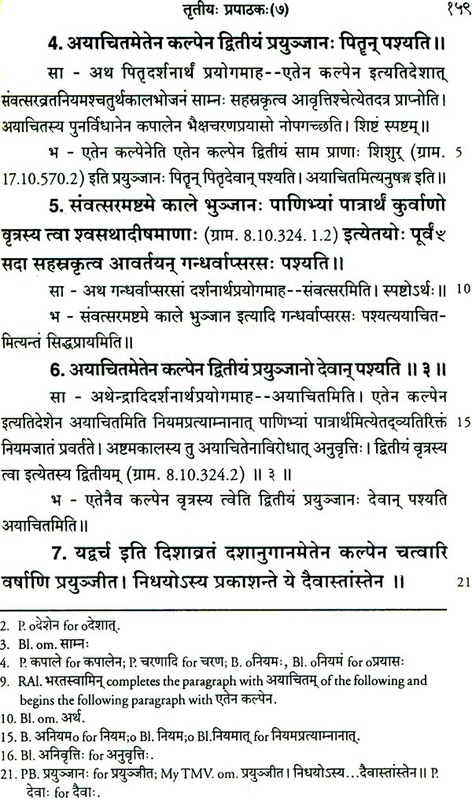 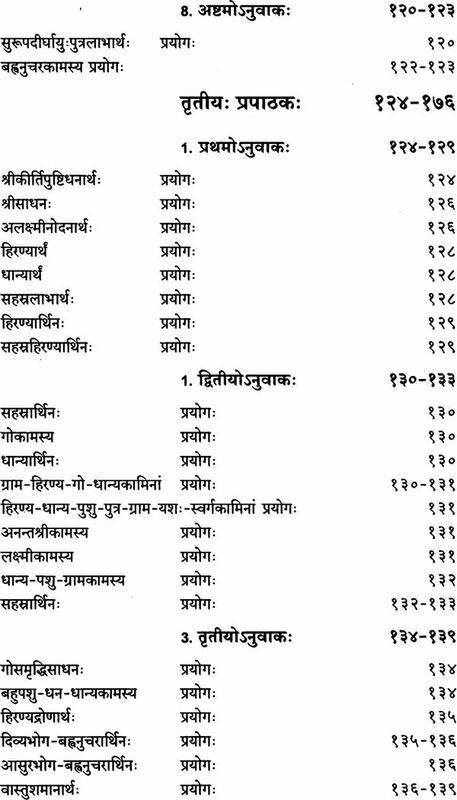 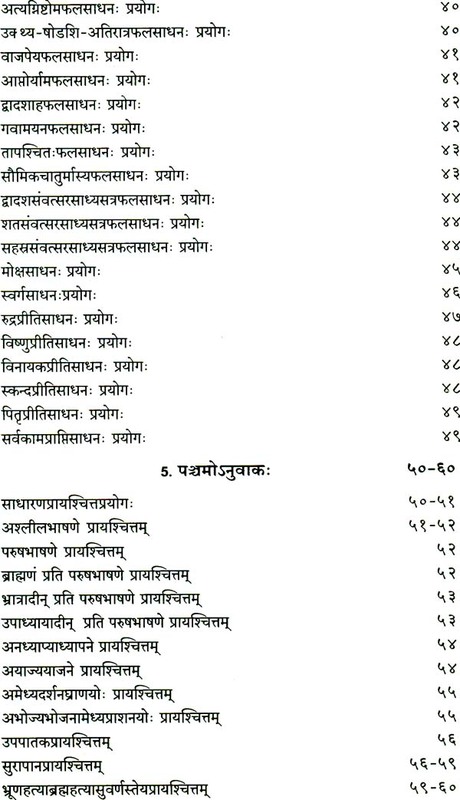 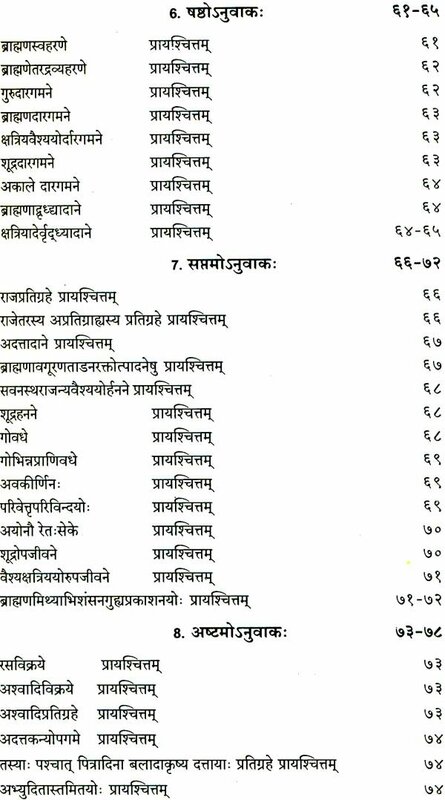 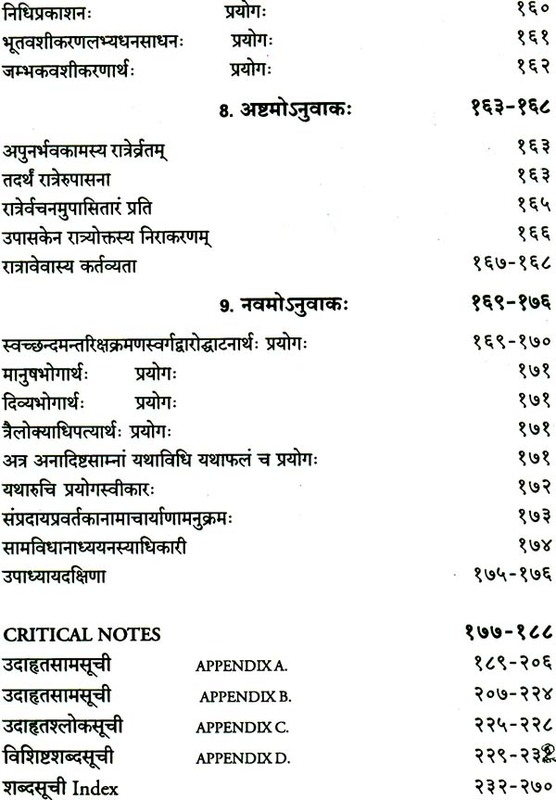 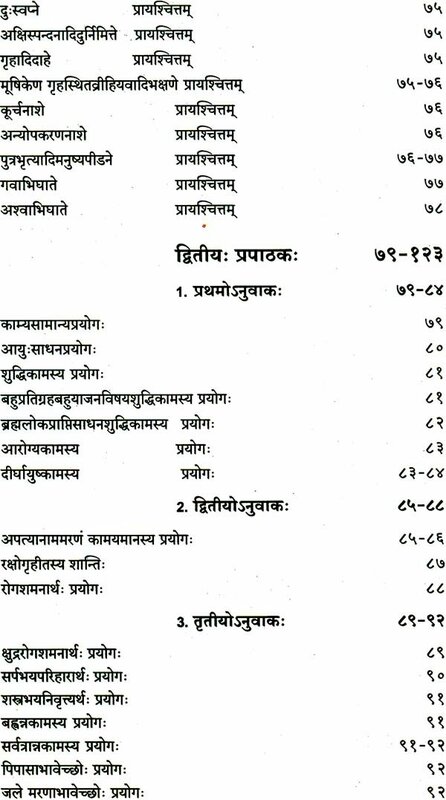 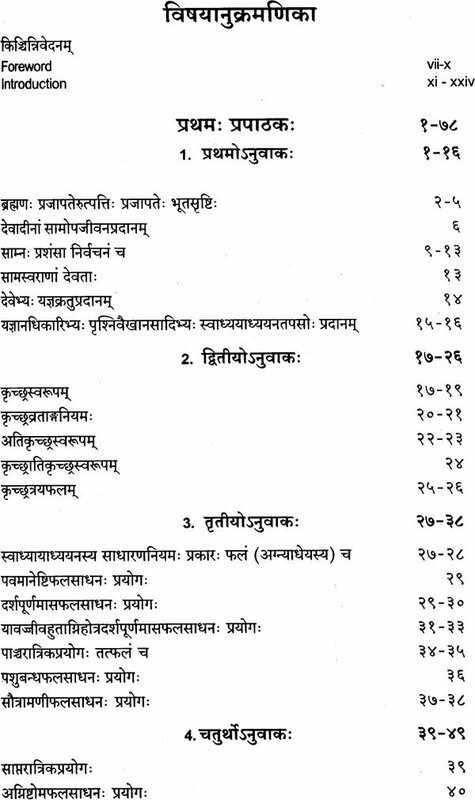 Other features like indices of the Samans cited in the Brahmana individually or by group names, index verborum and scholarly introduction are very useful for lexicorgraphy and further research activities.